I'm currently a senior studying International Relations, Chinese, and Global Health. Studying abroad in China through a Northwestern program provided me with the amazing opportunity to experience a different culture first hand, as well as gain invaluable experience and insight into the workings of China’s healthcare system from a first-hand perspective. In the summer of 2012 I traveled to Beijing on the Northwestern University Public Health study abroad program. I had a phenomenal experience overall and learned a lot about the public health system in China and Traditional Chinese Medicine, as well as the Mandarin language. Beyond the classroom, I also got to experience so many unforgettable parts of China. I ate my way through Beijing, visited as many tourist attractions as I could, spent a fair amount of time exploring, and practiced my Chinese wherever and whenever possible (including with my favorite popsicle/fruit vendor on the Beijing University campus). Through my experiences navigating the city, both in large and small groups as well as on my own, I learned so much more about the culture of China I had already learned to love. Overall, I thoroughly enjoyed my time spent in China. Despite all the positives, there was something that drove me nuts about Beijing: the air quality. Anyone who knows me will tell you I love the outdoors and the sun. So the grey skies, thick with smog, were not ideal. Even more disappointing to me was the fact that I had found the one place where running outside is actually worse for your health than not running at all. I had been warned, but did not fully appreciate the cautionary tales until I ran my usual 6 miles on one of my first days in China, went back to my room, collapsed, and felt like I was never going to breath normally again. Needless to say I found the gym on campus instead of trying another run outside. 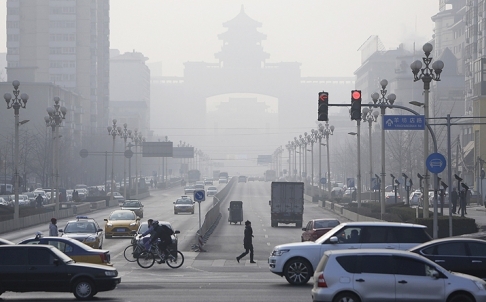 According to the New York Times, only three of the 74 cities monitored by the central Chinese government meet official minimum standards for air quality. 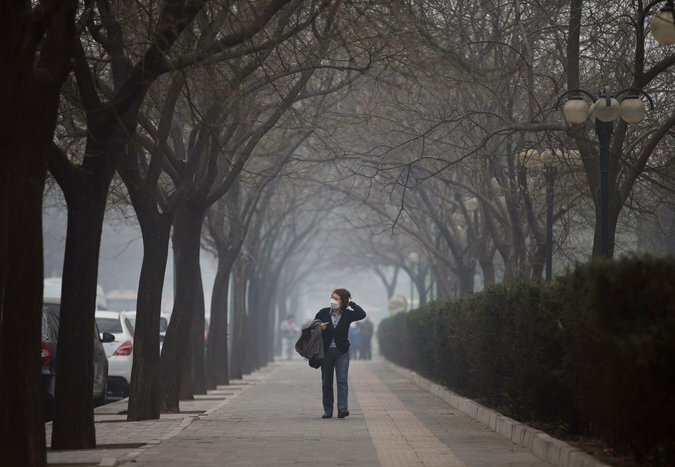 Beijing, one of the dirtiest cities, met air quality standards less than 50% of days in 2013. China gets most of its energy through the burning of coal, which not only causes air pollution but also contributes to greenhouse gases and global warming. Although pollution has long been a problem, it was especially brought to public attention in January of 2013, a period of time now referred to as the “airpocalypse.” For several consecutive days, the air was classified as hazardous to human health – pollution was 25 times higher than what is considered safe in the United States. Air pollution in Beijing, and China in general, is clearly a large problem. It’s negative affects range from quality of life to public health to loss of tourism to global warming. It is clear that change needs to be made. Let’s hope China is up to it. Candy Crush Addiction: A True Concern or Just Hype?